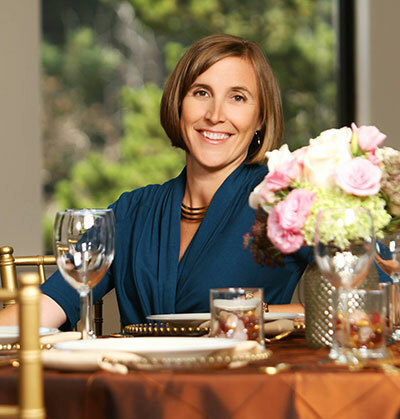 Jennifer Evans' Encore Events goes national with ShoWorks Inc.
Congratulations to Spokane-based event producer Jennifer Evans, owner of Encore Events! She has purchased ShoWorks, Inc., Cathy Doerr's national tradeshow management company, and has exponentially expanded her business. Evans has produced successful fundraisers and corporate events for organizations throughout the Inland Northwest since 2012, including Beyond Pink, Bozzi Media, Spokane Hoopfest and the Spokane Parks Foundation. The purchase of ShoWorks, Inc., will extend her reach to Philadelphia, Dallas, Atlanta and Baltimore, and her services will expand substantially to meet the recruiting and contract-seeking needs of employers and employees in government agencies and the private sector. The flagship service of ShoWorks, Inc. is its Alliance Small Business Procurement Fairs, where representatives from government agencies and prime contractors host 'MatchMaking Meetings' with small business owners. "It's a bit like speed dating for businesses," Evans explains. "MatchMaking Meetings are an incredibly efficient, effective way to connect contract opportunities with businesses that possess the right skill sets and experience. These events have a way of helping agencies and businesses almost magically find each other, but on a professional level," she adds. Each Alliance fair attracts between 150-500 attendees, depending on the region, and they currently take place four times a year. Evans will provide leadership for both of her companies while operating them separately. Each business has strong brand recognition and distinct, focused niches. Get more information at allianceforbiz.com. Jennifer Evans' contact information is 509-838-8755 and jevans@showorksinc.com. Tomorrow, May 17 Beyond Pink is holding a friendraising luncheon (a Jennifer Evans event) to immerse guests in an afternoon of inspiration. The luncheon at Chateau Rive in the Flour Mill is designed to educate, inspire and connect guests to the life saving thermography technology. Keynote Speaker, Sonya Elliot, author of Back on the Court: A Young Woman's Triumphant Return to Life, Love & Basketball, will tell her story of finding hope in the wake of tragedy. The event will be from 11:30am to 1pm. Tickets are $35 and includes lunch. Get your reservations at beyondpinkinspiration16.eventbrite.com. 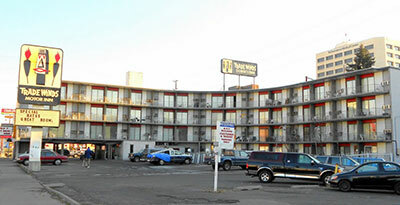 Renton-based developer, David Malik, has announced plans to redevelop the Tradewinds Motor Inn at 907 West Third Avenue. Malik hopes to open the motel as a Howard Johnson property as early as Thanksgiving after a $3 million renovation. Hotelier Henry Lackman opened the 60-room property in 1962 and ran it as a motel until the mid 90s when it was converted to inexpensive housing until it finally closed at the end of 2012. The property is now owned by Dave Black and Mark Pinch. The Spokane Association of REALTORS presented the grand prizes from its 2016 Spokane REALTORS Open House Weekend. Mark and Julie Anderson (center in photo) were presented a $1,000 VISA gift card for entering the contest at an open house during the event last month. 2016 SAR President Susie Luby (left in photo) presented the winners with their gift card. 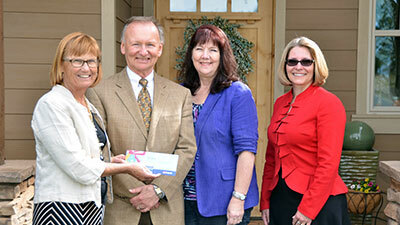 REALTOR member Jackie Hughes with Keller Williams won a $500 VISA gift card as the listing agent at the winning house. The association reports it had about 200 participating open houses around Spokane in this year's sixth annual event. You can find the city's best online directory of open houses every day on SpokaneOpen.com. Ignite Northwest, the regional business accelerator, will be hosting its next Demo Day graduation event tomorrow with keynote speakers David Condon and Lisa Brown. 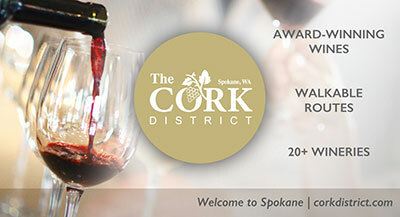 The event will be from 2:30 to 7pm, at EWU Center Phase 1 Classroom, #122, 668 N Riverpoint Blvd. The Ignite Northwest accelerator is a business program crafted to accelerate the growth of early stage companies from around the Inland Northwest. The 14 companies featured this semester hail from Ignite Northwest's traditional areas of western Idaho and the greater Spokane area, while also featuring companies from the Tri-cities area through a partnership with Fuse SPC. During the 12-week program taught by regional leaders in business planning, marketing, legal, product development and more, the class participants reflected on their early successes and tailored their plans for future success with mentorship, connections, and business tools provided by Ignite Northwest. On May 17, these companies will be presenting their newly-tuned businesses to the Inland Northwest community to bolster awareness and celebrate their efforts to take their business to the next level. To learn more about Ignite Northwest, visit www.ignitenorthwest.com. Anchorage-based Alaska USA Federal Credit Union, among the 20 largest credit unions in the United States, is entering the Spokane market with 3 branch locations inside Safeway stores. 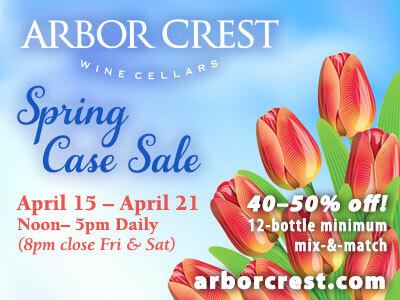 The locations are 2507 W. Wellesley Ave., 2509 E. 29th Ave,. and 933 E. Mission Ave. The full-service branches are expected to be completed by the end of this month and will be open 7 days a week. 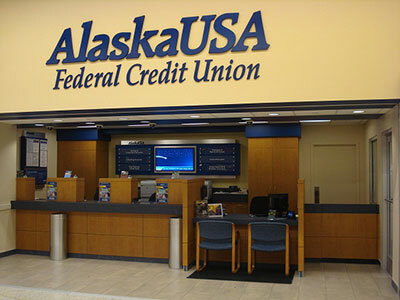 Alaska USA, with assets of $6.34 billion, has branches in Alaska, Arizona, California, and Washington and serves more than 500,000 members living in all 50 states and around the world with a full range of financial services. For more information go to www.alaskausa.org. Thursday, June 9 at Indian Canyon Golf Course, the Salvation Army is holding their 30th Annual Golf Tournament & Dinner Auction. All proceeds benefit Salvation Army youth programs, including Sally's House, Camp Gifford, and Clothe-A-Child. For sponsorship and reservations, contact Ryan Rodriguez at 509-329-2721 or by email at ryan.rodriguez@usw.salvationarmy.org. The registration deadline for the 3rd Annual KHQ/WorkSource Job Fair is this Friday, May 20. Join the 75+ other employers who have already registered to participate at the May 25 event at the Spokane Convention Center. There is space for 120 employers, and the deadline for space is Wednesday May 18. For employers, included in the price of registration of $75, you will receive full pole and drape screening around a 10' by 10' booth, catered lunch, on-site interview rooms, wifi, and on-site parking with load and unload assistance. You have the option of ordering additional lunches, electrical packages for your booth, and additional parking passes. All industries are welcome. To see a list of companies which have signed up, go to khq.com. During the 2016 ACI-NA Business of Airports Conference Awards Banquet held last month in Orlando, FL, David Armstrong the Director of Finance at Spokane International Airport, was named the 2016 Small Hub Airport Finance Professional of the Year. Armstrong was nominated for the award by his peers from throughout the Airport industry citing his knowledge of financial management, leadership, strategic thinking, and his contribution to the airport community as the 2016 Chair of the ACI-NA Finance Steering Committee. 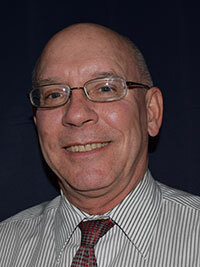 Armstrong, a 1978 graduate of Eastern Washington University, joined Spokane International Airport in August 2008 and has distinguished himself through his efforts to restructure the Airport's budget and capital planning processes which have produced positive results across the organization and contributed to achievement of the Airport's business objectives. On Thursday May 12, at the City of Spokane Park Board regular meeting, the Bearing Public Sculpture Project 501(c)(3) passed a major milestone securing a site in Spokane's Sunset Park. Spokane Parks and Recreation Director Leroy Eadie introduced the Bearing Project to the Spokane Park Board after Bearing Project board of directors completed provisions meeting the City of Spokane's park placement criteria. The sculpture will be a gift to the City. Sunset Park is located at the west end of Kendall Yards on an elevated embankment situated between the Centennial Trail and Spokane River. 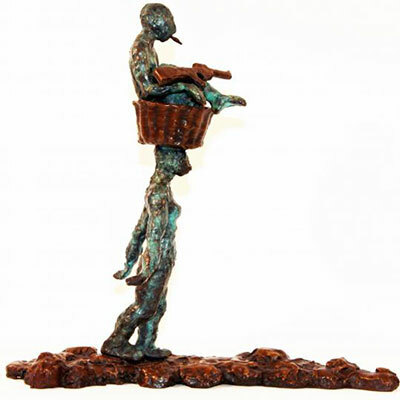 The sculpture, by visual artist and cultural anthropologist Ildiko Kalapacs, celebrates the strength and resilience of the human spirit as it carries the burdens of the physical and emotional aftermath of war. For more information, go to www.bearingproject.com. Scott Brewer, Downtown Toyota general manager has announced the winners of the 2106 Larry H. Miller Drive for Good, an annual program that recognizes local non-profit organizations in the Spokane area and the important role they play in our community. Following an online nomination process and public voting, more than 11,000 votes were tabulated. The winning non-profits which will each receive a $5,000 donation to use towards their mission are Project Hope-Spokane, Elevations - A Children's Therapy Resource Foundation, Inland Northwest Baby, and Boys and Girls Clubs of Spokane.